Select the thumbnail image above for a larger image of the 6th Battalion Officers in 1915, which opens in a new window. 2nd Lieutenant Alfred Mitchell EADON. 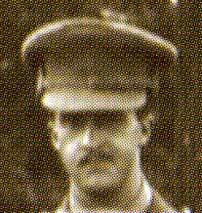 Killed 21 July 1915 (at Gallipoli). Commemorated on Panels 55 to 58, HELLES MEMORIAL.